Despite my best efforts to keep working with the VMware VI client, my recent move to a MAC has finally forced me to start using the web client. So when I rebuilt my vCenter this week, I went out of my way to use that. I’m assuming you have a default install of vCenter and you have also installed the SSO options (this would be the default). 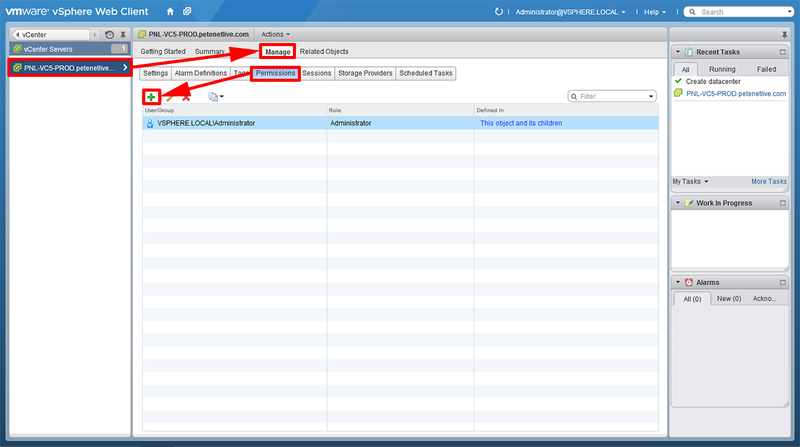 You should also have taken note of the administrator@vsphere.local password you entered when you installed vCenter. 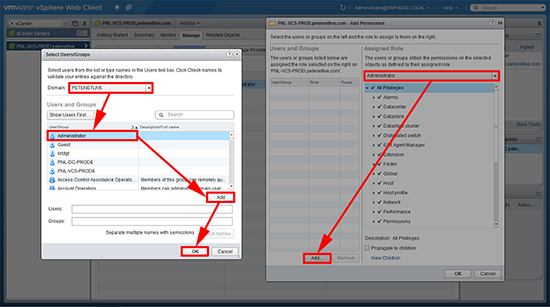 Navigate to Administration > Single Sign On > Configuration > Identity Sources > Select your domain and set it as the default domain. 2. Note: If your domain is not listed (you didn’t add it during the install of vCenter for example), then simply add it first. 3. Users and Groups > Groups > Administrators > Add > Change the domain to yours > Locate the user (or group) > Add > OK.
4. 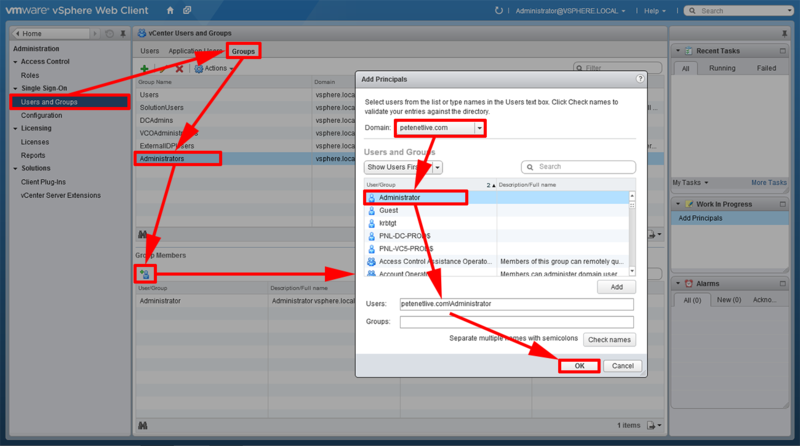 Now you need to grant rights, the simplest way is to grant rights at the vCenter level, and then those rights will cascade down to the Datacenter(s), Clusters, Hosts, and Virtual Machines. Home > vCenter Servers > Select your vCenter > Manage > Permissions > Add. 5. Select the Administrator role > Add > Select your domain > Locate the users and groups you want to ad > Add > OK.